“On the surface, the story behind this painting is straight forward,” begins Steve Hanks. “This young woman has decided that it is time for her to leave home and make her own way in the world. The choice is hers and she is confident and self assured in her decision. But as it is with most of my paintings, there is a deeper, personal story to it. “There Are Places to Go” is as fine an example of contemporary realism as you are going to find today in the art world. 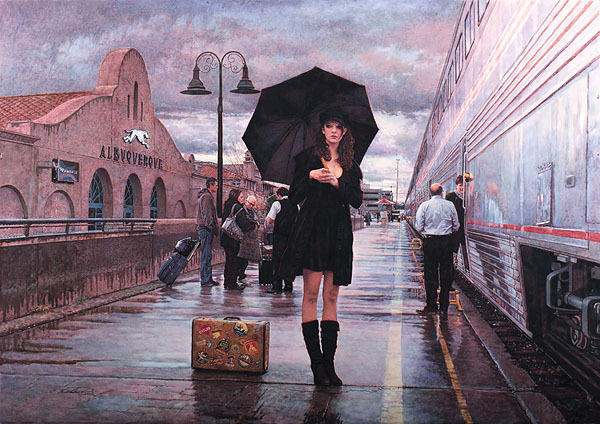 Steve Hanks is recognized as one of the country’s most important figurative artists. His technical skills combined with his captivating storytelling set his work apart from others.